Where is Central High School? Do you serve lunch & breakfast? How is Central different from a traditional high school? Does Central offer special education programs? Does Central accept ESOL students? You must come to Central High School to complete and turn in an application. You cannot submit an application online. Once you have completed your application, you will be placed on the waiting list. When a seat becomes available at our school, you will be contacted and have 24 hours to contact us to let us know if you can start school on the given date. The enrollment application, birth certificate, immunization records, and a social security card will need to be presented prior to your first day of school. If you have trouble with locating any of the required documents please let us know immediately. A total of 24 credits are needed, but may include transferred credits from a previously attended school. There is also an 18 credit option but this is only available with the principal’s recommendation and approval. Central High School offers two sessions. The morning session is from 7:10a.m.-12:10p.m. The afternoon session is from 12:10 p.m.-5:10 p.m. Classes are held Monday-Friday. Students are expected to arrive no earlier than 10 minutes prior to their scheduled session. They should also be picked up for departure no more than 10 minutes after the scheduled end time of their session. We serve breakfast or lunch, we are a participant in the free and reduced lunch program. There is no cost for the application, tuition, course fees, or textbooks. All school supplies will be provided. The only cost is for the required uniform shirts. All students are required to wear a Central High School shirt to school each day. The student will be given two free shirts after 10 days of actual attendance. Extra shirts are available to purchase for $5; Long sleeve shirts $15; and Hoodies are $20. Central High School enrolls high school age students, 16-21, who are at-risk of dropping out or have dropped out of high school for a variety of reason. We are not specifically designed for students with discipline issues but will consider all students in our enrollment process. How is Central High different from a traditional high school? Central is a non-traditional high school, serving students who would traditionally be enrolled in grades 9-12. These students may have fallen behind in earning credits, have difficulty passing state-required tests, are at risk of dropping out of school, or just need a new environment in which they can succeed. Central High students do not enroll in a specific grade level. We are more concerned about the number of credits and not specific grade levels. We target the population of students whose educational needs have not been met at any meaningful level and are a viable alternative for the non-traditional student. The Central High School model catches the students who are falling through the cracks and empowers the community with more contributing adult citizens. Are Central High teachers certified? 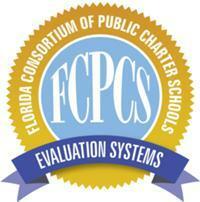 Central High School strives to have all of its staff certified by the FLDOE in a timely manner. Does Central High offer special education programs? Yes. Central High School will provide services to any child with special needs with the goal of having the student become successful in regular classroom settings. Each child is evaluated to determine the most effective educational program we can provide, consistent with federal law. Does Central High accept ESOL students? Yes. Central High School will provide services to any child with limited English proficiency with the goal of having the student become successful in regular classrooms. Is Central High AdvancEd accredited? No. We have not received accreditation because we are a new school. It takes two years for a school to achieve accreditation. Accreditation is designed to help educational institutions boost their ongoing performance efforts for the benefit of their students. AdvancED insists on a relentless pursuit of excellence – for itself and for the institutions it accredits. This ethic of excellence ensures that institutions will find rich benefits from accreditation and that parents can confidently make informed decisions about their children’s education, knowing their child’s school is accredited. Accreditation matters because our students deserve the highest level of educational excellence possible. Central is a year round school, so students can enroll at any time. Students are required to provide their own transportation. There is a trolley stop at the corner of 15th and Lisenby and also at the corner of 23rd and Lisenby. A trolley pass may be purchased for $35.00 per month. Students are not permitted to arrive prior to 7:00 a.m. and must be picked up within 10 minutes of their session end time. The building closes promptly at 5:10 p.m. Monday-Friday.